Can you understand pet food labels? More to the point, can you understand pet food labels to the point that it makes some sense in terms of matching your dog's age, weight, breed and lifestyle the right diet? Q. How important are proteins to my dogs diet? Are some proteins better than others? Q. How important are carbohydrates to my dogs diet? Are some carbohydrates better than others? Q. How important are fats to my dogs' diet? Are some fats better than others? Q. Should I give my dog vitamin and mineral supplements? Q. How often should I feed my dog? Q. I have been told that feeding dogs table scraps is not good for them. Why not? Isn't human food okay for my pet? Q. Is there a correct amount of vitamins and minerals for my dog? What happens if my dog gets too much vitamins or minerals? Q. Is dry food better than canned food? Q. My dog really likes canned foods. Will he be harmed if I only feed him canned food? Q. My veterinarian recommended feeding my dog a "premium" food. Why is that food better? Q. Some people leave food out all day long for their dog. Is that good? 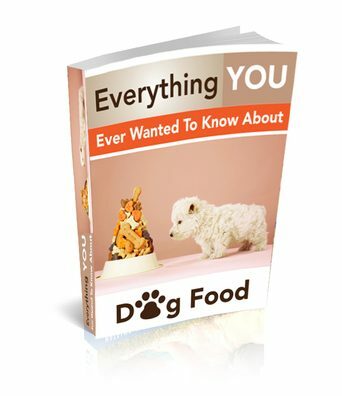 Won't your dog eat too much? Q. I am afraid to change my dog's food? Will he get sick? Q. Are there things I shouldn't feed my dog? more? Why? Q. Is it okay to give my dog treats? He really likes them. Q. Are some treats better for dogs than others? Q. How long will dog food keep? How can I tell if the food is still good? Consumers are becoming more aware of what’s in the products they buy and eat and are reading food labels more carefully, this scrutiny is being extended to pet food labels. Pet food labelling is strictly regulated – The Feeding Stuffs Regulations 2002 require a statutory statement to be put on every label or package, which must contain certain obligatory declarations. All the information given on a pet food label is governed by the Trade Descriptions Act and must therefore be truthful and not misleading about the nature and quality of the product. These must state: – whether the product is complete or complementary; the species for which the product is intended; directions for use. Complete food when fed on its own will provide all the nutrients that a pet needs. Complementary food will provide all the nutrients a pet needs when combined with other complementary products, e.g. meat and biscuits. The ingredients must be listed in descending order by weight. They can be indicated using category names, which are laid down by the Regulations, such as ‘meat and animal derivatives’, ‘cereals’, ‘derivatives of vegetable origin’. Alternatively ingredients can be listed by their own individual names*. When an ingredient is used that does not fall into any of the prescribed categories, its individual name must be listed. In all other circumstances, mixing individual names and category names in the ingredients list is not permitted. If particular attention is drawn to a specific ingredient (e.g. With Chicken), the percentage of that ingredient component must also be listed.